The Foreign & Commonwealth Office has revealed some of the most common ways British tourists have had their passports nicked while on holiday. With more than 21,000 passports stolen or lost last year, the FCO has launched a social media campaign – called #PassportAware – to encourage Britons to prevent their travel documents from falling into the wrong hands when they’re abroad. In addition to robberies and thefts from hotel rooms or hired cars, the most common scams involve people posing as police officers and a number of distraction techniques. 1. 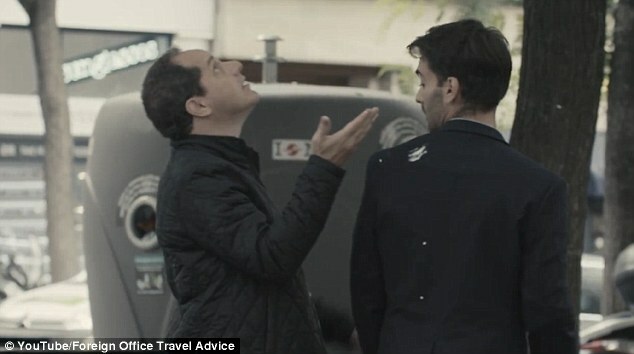 A thief walks off with a tourist’s passport after posing as a police officer and stopping them to ask questions. 2. A con artist marks a holidaymaker’s clothing – and possibly claims they have been defecated on by a bird – and offers to help them clean up. The thief steals the passport from their pocket while they are distracted. 3. A distracted hotel or hostel guest has their passport stolen off the front desk while they are checking in and distracted by forms or payment. 4. A tourist seated at a cafe or restaurant has their passport in the pocket of their jacket hanging on the chair, and it is stolen by a thief who has taken a seat behind them and is pretending to reach into his pocket. 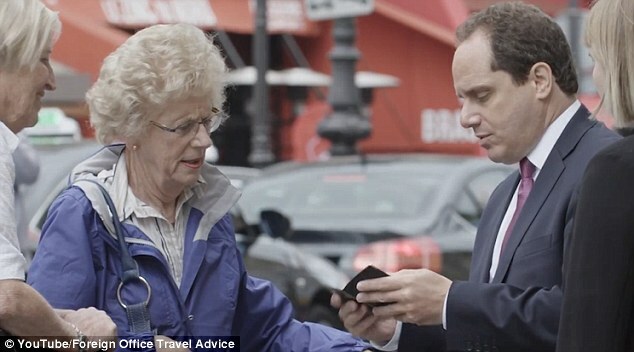 In a new video, James Freedman, a fraud and crime expert for the FCO, explained four ways British holidaymakers can get ‘hustled’ for their passport. 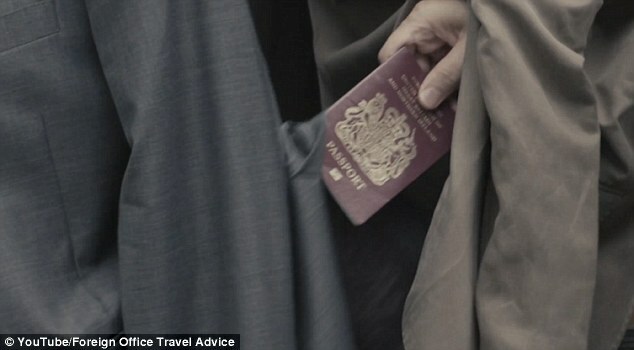 The first – called ‘the imposter’ – involves people who claim to be police officers and walk off with a passport after asking for identification. The second method – called ‘the clean-up’ – occurs when a con artist marks a tourist’s clothing – possibly claiming they have been defecated on by a bird – and offers to remove the ‘stain’. But while the fraudster helps the tourist he or she sneakily pickpockets them and steals their passport from their trousers or a jacket. Britons have also been targeted while checking in to a hotel or hostel. 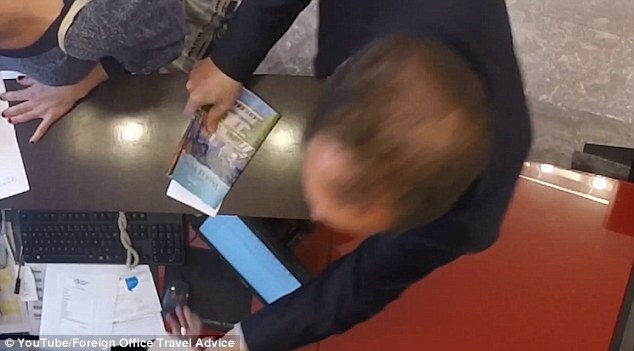 Calling it ‘the check-in cheat’ method, the FCO said thieves are known to steal passports straight off the front desk while a distracted guest is filling out forms. A damaged passport cannot be used for travel, so value it and keep it safe. For certain countries your passport must be valid for six months after the date you travel – check the entry requirements before you go. Ensure you fill in the emergency details/next of kin page before you go. The fourth and final method demonstrated in the video – called ‘taking things easy’ – shows a tourist seated at a cafe without paying any attention to his belongings, including the passport in the his jacket on the back of his chair. Freedman, posing as a thief, takes a seat behind him, puts his jacket on the back of his chair and steals the passport while pretending to reach into his own pocket. While most holidaymakers enjoy trouble-free trips, tourists can lose money and valuable time if their passport is stolen or lost. The cost of emergency travel documents and new passports for two adults could pay for two additional nights in a mid-range hotel and two meals a day in Tenerife, according to the FCO. Last year, consulates around the world issued more than 30,000 emergency travel documents and assisted distressed British nationals who had been victims of crime. Freedman said: ‘With identity theft on the rise, the actual cost of losing your passport could be thousands of pounds. ‘Criminals and con-men are always evolving the tricks they use to target tourists, but a few simple precautions will really help you to stay safe. ‘Only carry what you really need and keep cash and other valuables in a secure pocket or bag. ‘Remember that if you put bags down, they should always be in your line of sight. If you don’t need your passport and other valuables when you’re out and about, leave them at the hotel. ‘Above all, trust your instincts and be aware of anyone invading your personal space. Consular staff recently assisted a family of four who had their passports stolen from a hired car while they were touring the Alamo in San Antonio, Texas. The FCO suggested leaving passports in a hotel safe. Foreign and Commonwealth Office Minister Tobias Ellwood said: ‘While we should all enjoy our holidays, it is important that we remain vigilant about valuables – particularly passports. ‘Becoming a victim of theft or losing your passport could ruin your trip and replacing a passport will cost money and valuable holiday time. ‘By following the simple tips included in these videos you can minimise the risk of falling victim to thieves while abroad.